Giving you a multitude of NATO rail attachment points, as well as numerous 1/4" and 3/8" tapped holes. 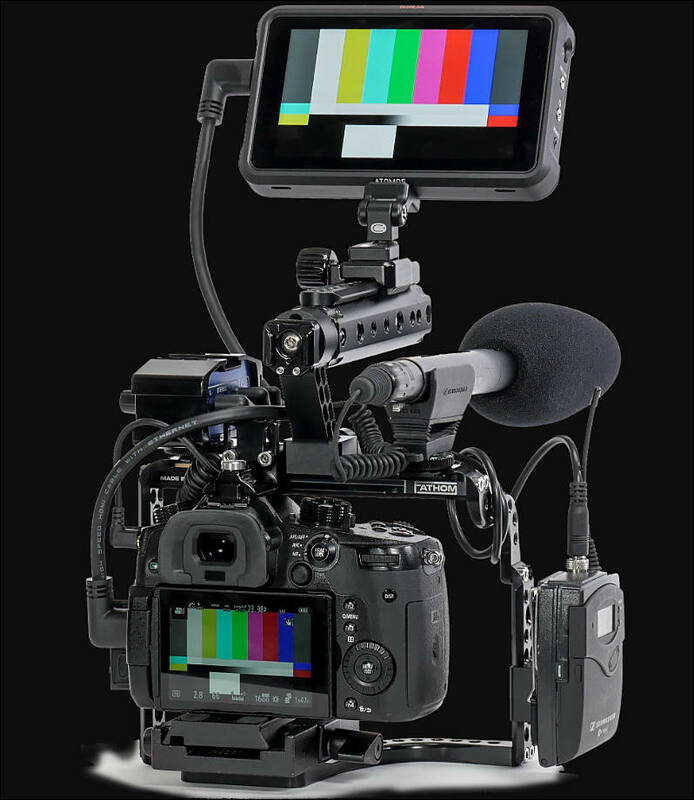 Very secure camera attachment via the bottom 1/4" tripod hole and with a shoe-mount that is adjustable on 3 axis, plus repositionable anti-twist pins to accommodate a variety of cameras. Price is currently $495. We are keeping manufacturing local and to very high standards. 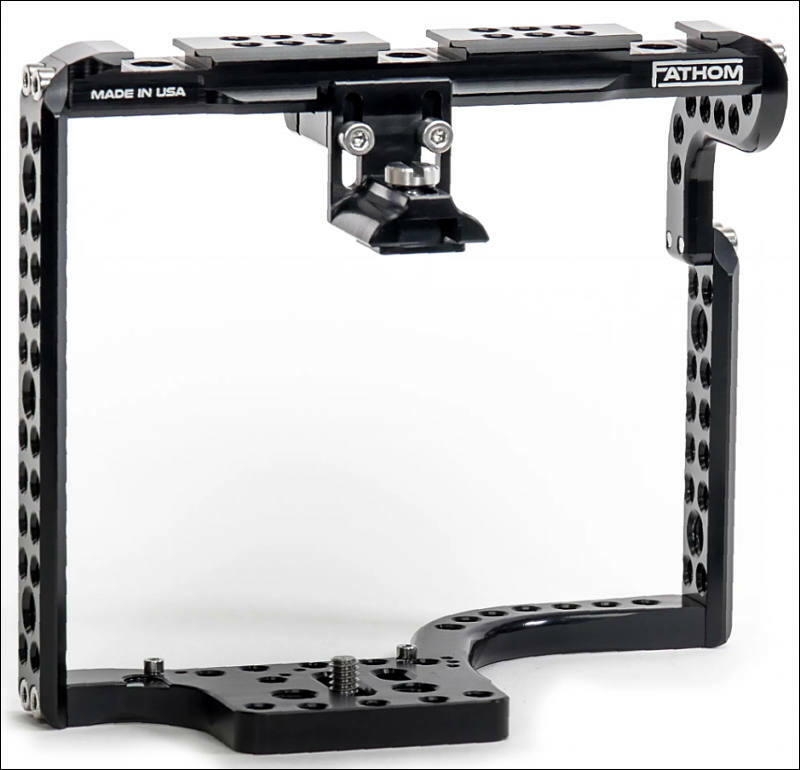 Unlike a cage that you need to replace when you change cameras, this cage can continue to be used as it is very adjustable. So part of it's value is that you can keep using it for years with future cameras and with many existing 3rd party accessories. As we sell and manufacturer more, we may eventually be able to lower the price due to economy of scale.